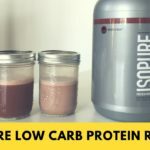 Home » Isopure Low Carb Protein Powder Review — Most Nutritious Whey? Isopure is best-known for their low-carb and zero-carb products, and it’s a particularly popular brand among athletes following ketogenic diets. While their zero-carb protein powder is their most famous product, their low-carb protein powder delivers just 3 grams of carbohydrates (and 1 gram of fiber) for every fifty grams of protein. That’s less than half the carbs you’ll find in most of their competitors, like Optimum Nutrition. 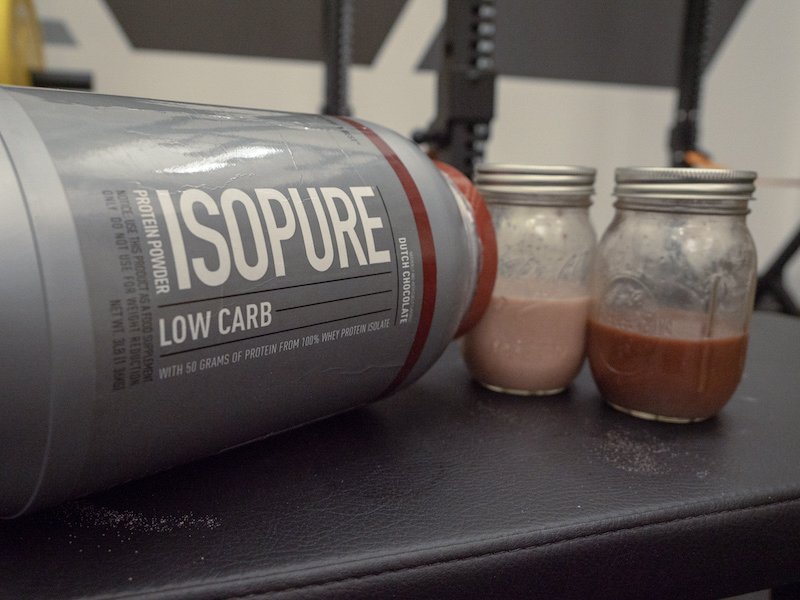 So, what does Isopure Low Carb Protein Powder taste like, and do the cons outweigh the pros? I tried their Dutch Chocolate flavor to find that it’s extremely nutritious for something so inexpensive — there’s a lot that’s impressive about this product. Isopure isn't just low in carbs, it provides more vitamins and minerals than many of its competitors. What’s really remarkable besides the carb content is the amount of vitamins and minerals. 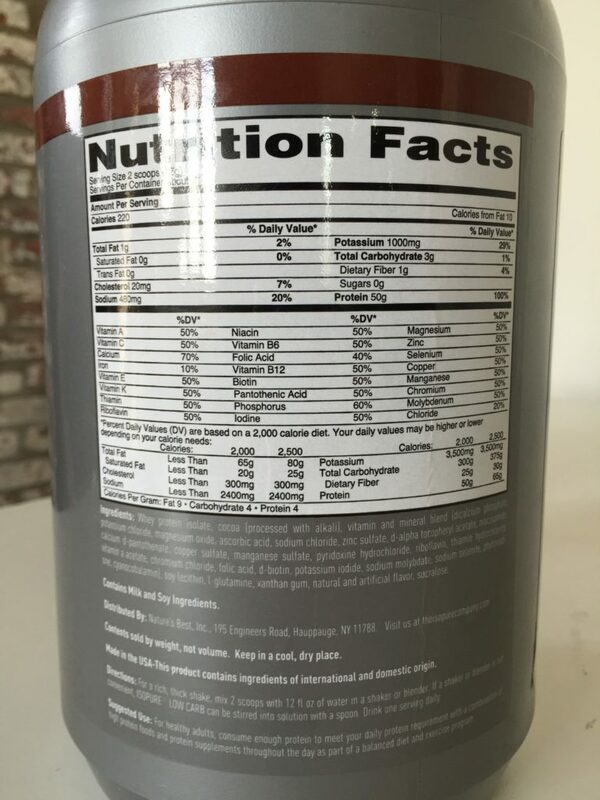 One scoop delivers 25 micronutrients, on average about 30 percent of the recommended daily intake of everything from Vitamins, A, C, E, K, B6, B12, thiamin, riboflavin, and biotin to magnesium, zinc, selenium, copper, manganese, chromium, and a few other minerals. And while most protein powders provide a decent amount of calcium (about ten or fifteen percent per scoop), IsoPure has twenty-five percent of your daily calcium in a scoop. This is one of the few protein powders that tries to double as a multivitamin. A lot of whey powders combine whey isolate, concentrate, and hydrolyzed whey as they each have their own benefits. 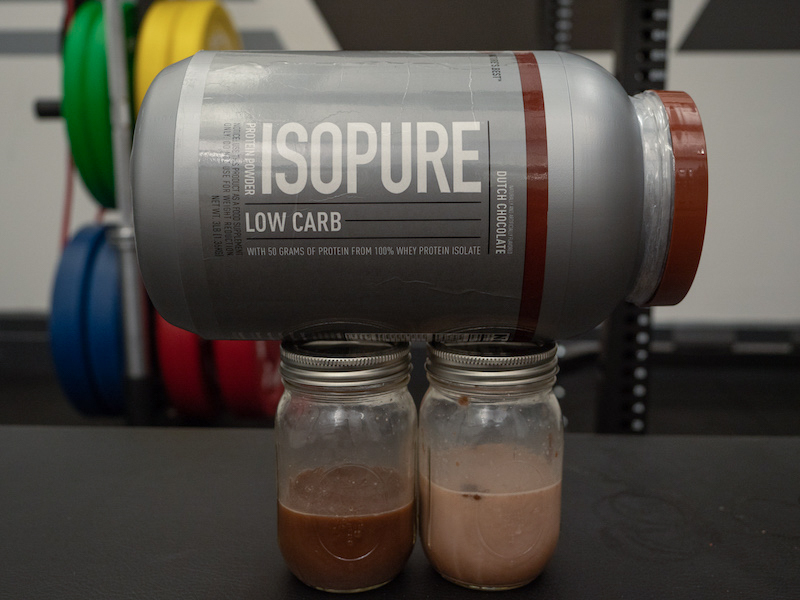 Isopure Low Carb decided to stick with one kind: whey protein isolate, which helps to keep the calorie, fat, and carb-count as low as possible. The rest of the ingredients are cocoa, a long vitamin and mineral blend, soy lecithin (probably to improve mixability), glutamine, xanthan gum (for thickening and stabilizing), an ambiguous “natural and artificial flavor,” and sucralose (also known as Splenda). It’s worth noting that unlike a lot of protein powders, this is free from the sometimes-controversial artificial sweetener acesulfame potassium. That said, it does contain soy and sucralose, which some consumers may take issue with. Isopure Low Carb also doesn’t contain digestive enzymes, so while it is lactose free, there’s a chance it could cause digestive issues for people with particularly sensitive stomachs. Isopure comes in 1-, 3-, and 7.5-pound tubs, so we’ll take 3-pounds as the standard purchase. One tub delivers 42 scoops for about about $35 to $45, so you’re looking at roughly $1 per scoop or 4 cents per gram of protein. For an isolate, that’s pretty cheap. 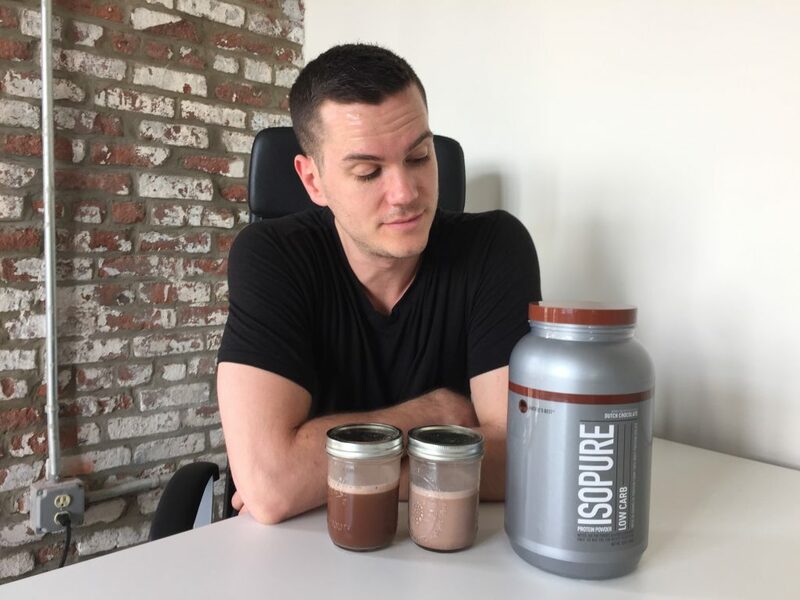 Isopure’s main competitors charge about 4 to 5 cents per gram of protein but they’re mostly whey blends, not pure isolate. When you couple that with the fact that Isopure has all these vitamins and minerals, you come to realize this is a pretty darn inexpensive protein. It mixes very well, probably because it contains soy lecithin. Even after leaving it unshaken for a few minutes, there’s no settling at the bottom. I tried Dutch Chocolate flavor, which tasted more like dark chocolate than a lot of its contemporaries. It’s quite sweet when mixed with whole milk, so if you don’t have much of a sweet tooth you may prefer it with water. But again, it tastes more like dark chocolate than milk chocolate, so expect a more cocoa-y and less creamy flavor when mixed with water. 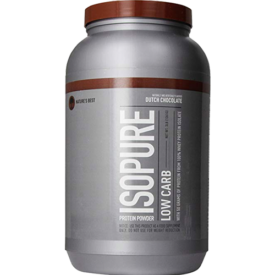 Isopure Low Carb is cheaper and delivers more micronutrients than many other protein powders on the market. The main problems a consumer may have are the inclusions of soy and sucralose and the exclusion of digestive enzymes. But if you don’t have any dietary restrictions or digestive issues, Isopure delivers a good amount of bang for your buck.